Not sure about all of you but we are pretty stinking excited for summer break! We are feeling ready to change things up, sleep in, go on some vacations, have some late nights and just chill. So, we were thinking we needed a countdown. 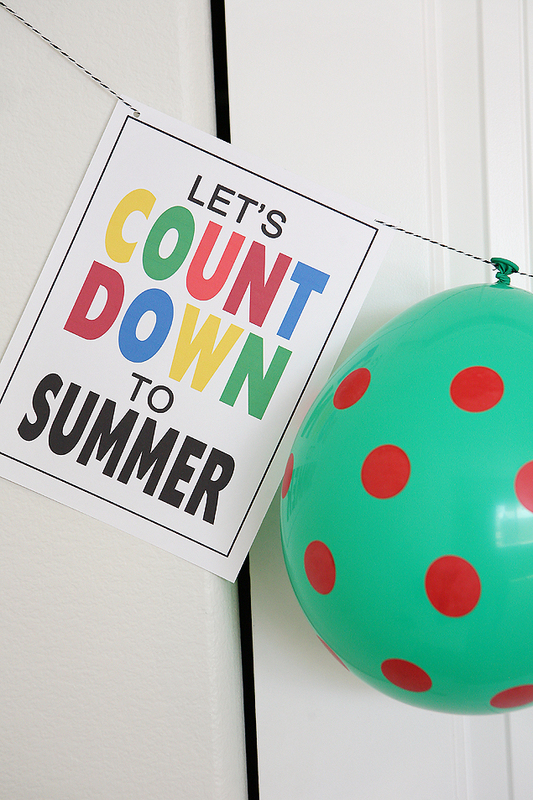 We’ve seen balloon countdowns before and knew they were on to something. Kids love to pop balloons! It’s a true story! 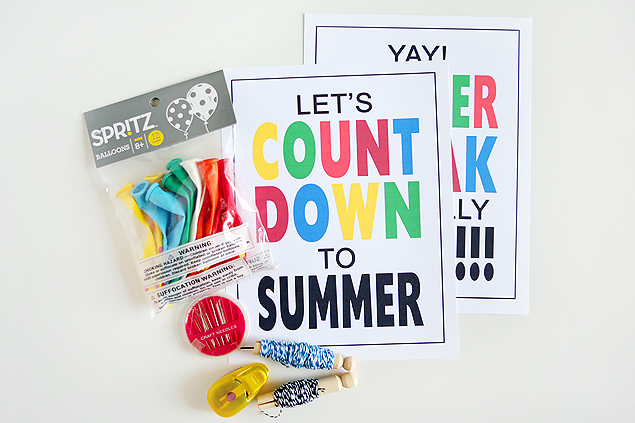 So, we thought we would make some printables so the countdown was a little more official. Grab some balloons. Big, small, polka dotted, anything will do, really. We decided to do 7 balloons but you can do as many as you’d like. Heck, you could even start counting down today. You can fill the balloons with something if you’d like to be ambitious. (For example: A rolled up paper with an activity written on it, confetti, a small treat, water.) Pick out some string or twine and grab an embroidery needle. Don’t forget your downloads here and here. 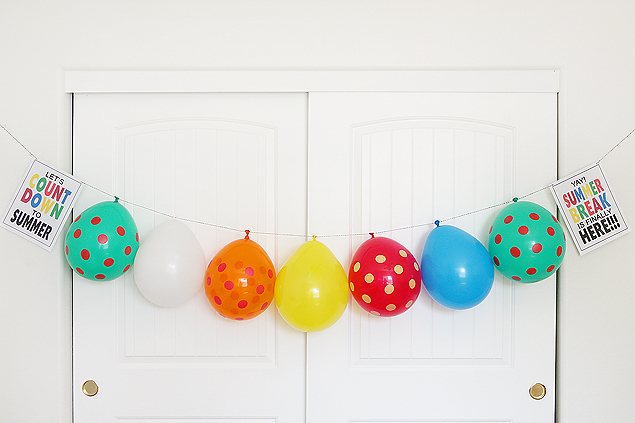 Thread your embroidery needle with your string or twine and thread through the top of each of the balloons. Make sure to leave enough room on both ends for your printables. Punch two holes in the top corners of your printables and thread those through as well. Hang your countdown and you are all set. We would love to see your countdowns! Share them with us in the comments here, on our facebook page, or on instagram, use the #eighteen25. Happy summer! Ahhh! This is a supercute idea! I love the idea of putting a surprise inside!